Supply chain visibility has been a major topic for businesses for several years. However, according to market research, many companies aren’t particularly well positioned in this area. What challenges are they facing? In what areas of the supply chain is transparency particularly important? How should companies approach and implement visibility? 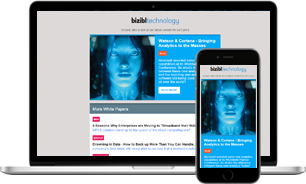 Download this whitepaper to find out. Below is an excerpt of "Supply Chain Visibility: The unfulfilled Promise?". To get your free download, and unlimited access to the whole of bizibl.com, simply log in or join free. Numerous supply chain management and logistics studies conducted in recent years by market research firms reveal a common thread: Supply chain visibility is the topic that respondents regularly cite as a high or very high priority. And it’s no wonder, since visibility brings benefits that include enhanced quality of services, which in turn boosts customer satisfaction. Visibility also helps soften the impact of disruptions, keeping down transport and handling costs. But studies also reveal again and again that many businesses have not yet achieved good supply chain visibility. The obvious conclusion is that businesses are not really making headway on this issue. But what are the unique challenges here? Where is visibility particularly important? And how should businesses approach and implement a visibility strategy? This white paper seeks to answer these questions. The revolution in commerce brought about by the Internet and with it the ability to compare products and services from around the world have long played a key role in driving change in modern supply chains. Consumers can shop around the clock, and delivery must often take place within just a few hours. This had led to sharp growth in the number of small parcels with highly individualized “last mile” requirements – and a corresponding growth in the number of returns. 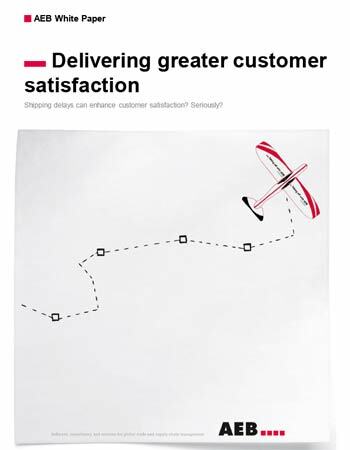 At the same time, businesses are focusing more on the demanding consumer, making it more crucial than ever for supply chains to maintain and optimize their service levels. 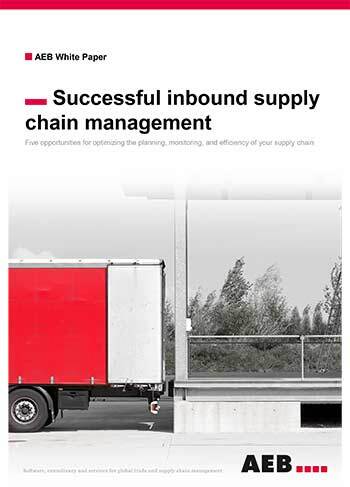 Shorter product cycles, more complex products, declining vertical range of manufacture, global procurement, volatile markets, and a growing number of natural disasters – these are other factors that make it increasingly challenging to manage a supply chain. The often unknown number of business partners, spread around the world, further increases the risk of disruptions and breakdowns. These challenges are not standalone phenomena, however. They are amplified when combined and often require new supply chain management strategies and business processes. But in the end, the conclusion is always the same: The only way to manage such complexity is through comprehensive visibility and IT support along the entire supply chain. The need for information and the interpretation of specific data can vary greatly from one supply chain partner to another, however. The ocean freight forwarder, for example, has a completely different perspective on a particular shipment than the transport service provider who receives the shipment at the central hub and must ensure that both time and resources are used to maximum effect during cross-docking. The same diversity found in the data requirements is reflected in the data standards, the scope of data collected, and the semantics of the in-house IT systems used by the various parties. To make things even more difficult, these IT tools are still typically designed for a particular company’s internal processes. Direct processing of outside data is either impossible or technically very difficult. The result is information that does not flow easily or seamlessly from one partner to another. 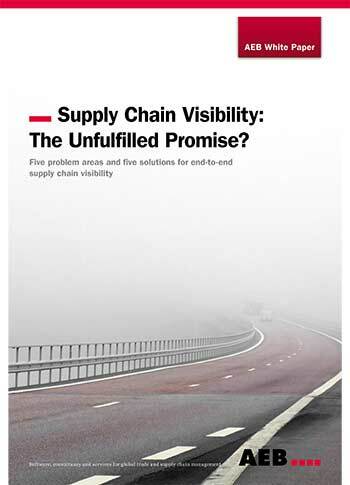 So visibility is the answer to increasingly complex supply chains. 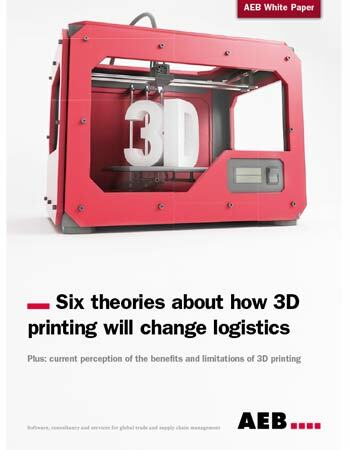 But how can the concrete benefit of supply chain visibility be made tangible? Where is visibility especially helpful and useful? We look at five problem areas and five solution examples. Examples include mandated security messages or complex customs procedures that often require very detailed information. 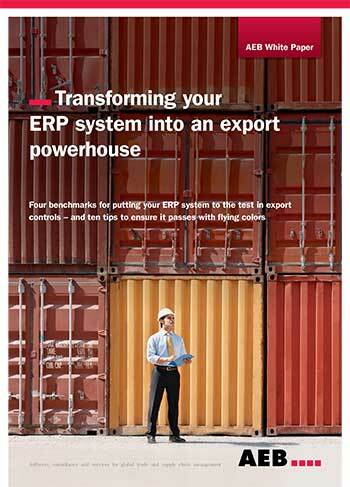 Reliable planning is a critical factor of successful supply chains. This generally requires procurement processes that run smoothly. But we cannot generally control the activities of our suppliers. This makes transparent processes and effective, twoway information sharing all the more important. Take order management, for example: Direct acceptance, rejection, or amended confirmation can flow directly into availability planning. The same applies when there is a change of plan. The objective must be to immediately assess the consequences of any change in the form of delays, shortages, or quality irregularities and lessen impact by adjusting plans accordingly. It is also very important for documents to be transmitted ahead of the goods. This makes it possible to prepare special information and forward it to the authorities and other parties on time. As already mentioned, the optimization of service levels has taken on increased importance in recent years. Visibility is helpful for identifying potential disruptions in advance and taking immediate action, especially when it comes to service level agreements, promised lead times, and ongoing planning updates. This makes it possible to initiate the necessary response – like switching from ocean freight to air freight, or shipping from a different location. The result is much better compliance with deadlines and quality standards. This type of visibility not only raises service levels, it also results in a long-term relationship of trust with partners and customers. This in turn requires up-to-date information on the status and availability of materials and products. This information must transcend the borders of one’s own warehouse to include goods in transit and planning data for both internal and outsourced production, with the ideal result being a global virtual inventory. This detailed knowledge of availabilities and defined times and locations can facilitate strategic decision-making and dynamic (re-) planning. A key dimension of supply chain visibility is the real-time transparency of ongoing processes such as the status of a customer order, the scheduling of a picking order, or the current location of a container. This kind of information makes it easy to better plan transport capacities or consciously select modes of transport by cost or lead time. This also yields concrete benefits in the form of fewer empty runs and shorter wait times. And this is important, especially in light of an EU study that found empty runs accounting for over one-fifth of road haulage kilometers on Europe’s roads. The study’s authors also assumed, even without hard data, that many of the remaining vehicles also have significant unused capacity. Visibility across operating processes also helps businesses turn inventory over faster through cross-docking and optimize goods receipt processes to available resources. Simplified customs procedures can also greatly streamline handling, but such privileges are subject to various requirements, including high consistency of data. What are the freight costs of a given product? How high are the transport costs for supplying my key accounts? Which transport lane accounts for the largest share of costs? Reliable information on past transport volumes and costs are the foundation for organizing effective, optimized freight contracts, service levels, and allotments. This information can be used to take specific action – reassigning certain routes, for example, or negotiating more favorable service levels for less-critical products. Significant savings can also be realized by monitoring ongoing costs with the help of an automated verification process, however. Billed services should always be checked against services actually rendered, especially in the transport sector with its complex freight agreements and fee schedules. A study by the market research firm Gartner found that, on average, seven percent of freight invoices contained errors. An automated verification process eliminates the risk of erroneous service charges. It is also an important step toward meeting compliance requirements. Another very important aspect of supply chain visibility is bringing transparency to risks in the supply chain and obtaining consistent, complete, and validated data. End-to-end transparency enables a basic understanding of the risks that exist and makes it possible to qualify them. But this topic is so multi-faceted that its significance can only be touched upon here. The two core questions: Where are the greatest risks in the supply chain? And which risks require a proactive response? According to a 2013 study of the Business Continuity Institute (BCI), 75 percent of the companies surveyed reported that they experienced at least one significant supply chain disruption in the past year. As many and varied as the causes and consequences were, the damages exceeded a million euros in 15 percent of cases – without consideration of indirect costs, damage to reputation, etc. A Deloitte study found that the most common risk events within a company’s own supply chain were interruptions to the procurement, production, and distribution networks. In the extended value chain, the primary risks came from fluctuations in demand, changing customer preferences, and problems with suppliers. The primary external risk events include economic changes, a critical scarcity of resources, geopolitical and security-related events, and natural disasters. 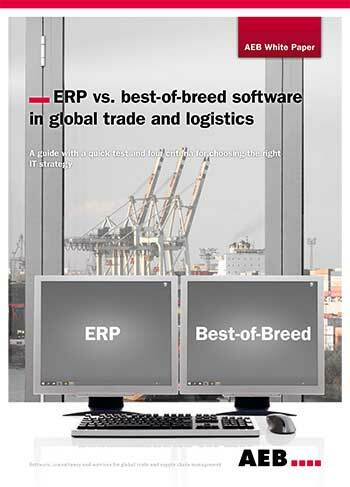 Supply chain visibility offers tremendous benefits across several areas and dimensions. But in practice there is a major discrepancy between how important businesses say the topic is and how often they actually implement visibility projects. In a survey conducted by the consulting firm Supply Chain Insights, for example, 96% of respondents ranked supply chain visibility as important, but only 53% feel their own performance in this area is good. Businesses still compensate for a lack of visibility by throwing money at the problem: maintaining high levels of safety stock, changing modes of transport, or paying for special trips and overtime. So if supply chain visibility is so important and offers such clear benefits on so many fronts, how can it be achieved? What are the prerequisites and success factors? The chief prerequisite for functioning crossenterprise collaboration in procurement and distribution networks is the need for all parties to exchange data. The main challenge is getting supply chain participants to share their data. This begins with the Chinese supplier who must issue a prompt alert if a container misses its ship. It applies to the forklift operator who accidentally drops a package. And it applies to the truck driver who needs to let everyone know he’s stuck in traffic. This means that the quality of one’s partners and employees is a critical factor. In the end, this determines whether supply chain managers are empowered to make the right decisions in the first place. Everyone involved in the supply chain must be part of the visibility effort if the goal of end-to-end transparency is to be achieved. The market research institute Gartner has developed a phased model that outlines five steps for comprehensive supply chain visibility based on the integration of supply chain partners. Another important point: Technical cooperation and technological sophistication. In practice, many businesses still rely largely on manual processes with a little help from Excel, sharing data and spreadsheets by e-mail or Microsoft SharePoint. This is an inefficient method that quickly becomes inadequate as supply chains grow more complex. How should employees organize their data, and how can you ensure correct transmission to external partners? How can IT systems process such information and support the decisionmakers with the right key information? One recipe for success: Eliminate wherever possible the need for people to enter data manually. This means for example using sensors not only in transport vehicles and warehouses but also on associated pallets, shipments, and the products themselves. The core technology required for end-to-end collection and electronic analysis of the relevant information is already available and established today: touch-free identification via RFID, geolocation via GPS or GSM, ubiquitous computing, voice recognition, and digital image processing. The actual challenge for IT systems lies in using all this data correctly: mapping all the resources, capacities, inventory, and processes in the supply chain and using EDI standards to facilitate the quick exchange of information among partners. This requires nothing less than importing data from all variety of sources and formats and creating seamless connections across multiple levels for all relevant business transactions. These business transactions are represented by data objects such as inventory data, sales and purchase order data, sales and production planning data, and data from physical material flow elements such as load carriers, shipments, and means of transport. Another essential element: events that document every step in a process or every change in status. Sophisticated alerting systems are responsible for notifications and other actions if deviations exceed defined tolerances. It is now possible to find many providers of visibility software, which typically features a platform architecture. Such solutions serve as hubs for the relevant data of all parties involved in the supply chain and can tailor the data to each target group. The following table summarizes the major functionalities and components of such software. Supply chain visibility – defined as the ITsupported visualization and monitoring of all process workflows within the supply chain, from the supplier to the end customer – is still an unfulfilled promise in many businesses. There is a broad consensus on the necessities and benefits of a comprehensive solution, however – and on the fact that powerful systems are available, affordable, and accessible through cloudbased services.